According to recent figures from Statistics New Zealand, the volume of sales rose 2.7 percent over the quarter ending March 31 on a seasonally adjusted basis. This was a jump from the 1.9 percent growth seen in the December quarter, and a big jump from the 1.5 percent growth predicted in a recent Reuters survey of economists. Retail sales experienced a 2.9 percent rise in value, with electrical and electronic goods driving the sector with 8.9 percent growth. All-in-all, overall sales volume was 7.4 percent higher than the same period a year ago. Electronic sales had a big effect on these figures, with technology advances and increased discounting leading to strong sales despite the high value of the local currency. According to acting business indicators manager Tehseen Islam from Statistics New Zealand, "Our discussions with retailers suggest that there's no one thing in particular behind this, but there may be a strengthening back-to-school effect... This seems to mean that spending on things like laptops and tablets is having an impact on overall spending at the start of the school year." 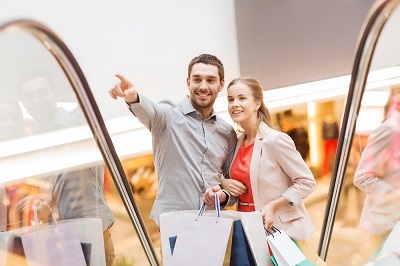 According to Westpac Bank senior economist Felix Delbruck, March quarter retail activity was "extremely strong, beating even our top-of-market forecast... Part of the reason for the strong growth in volumes was very low retail price inflation... This may reflect the mixed messages from the survey - turbo-charged growth, but very low retail price inflation. As such the release is one more illustration of the conundrum the Reserve Bank is currently facing and supports our view that the prospect of OCR cuts this year remains very uncertain." Sales figures are broken down into a number of separate components, with spending on supermarket and grocery goods rising by 1.2 percent in volume for a 2.7 percent increase in value, fuel rising by 3.5 percent in volume for a 5.7 percent drop in value, and hardware and building supplies rising by 3.9 percent in volume for a 3.6 percent increase in value. Accommodation spending is also measured, with a boost from the Cricket World Cup helping volume to rise by 7.1 percent and value to rise by 6.9 percent. The volume of spending in the food and beverage sector rose a seasonally adjusted 1.2 percent in the quarter for a 1.9 percent lift in value.